Potential Recycled Silver Shortage for Tokyo 2020 Olympics | Sell your Scrap Gold and Silver online. Japan is preparing for the Tokyo 2020 Olympics and is reportedly facing a rising concern over the shortage of silver. Tokyo is exploring a frugal plan to use recycled metals from old electronics in the medals for the 2020 Tokyo Olympics and Paralympics. In April 2017, Tokyo Medal project was launched and since then half the necessary bronze has reportedly been collected but twice as much silver is still required. It is believed that Olympic organizers would most likely face a silver shortage if the situation remains unchanged. An organizing committee official reiterated that given the collection pace of bronze, they were significantly short of silver. In the context, the organizing committee stated that at least 5,000 medals would be created for the Paralympics and the Tokyo Olympics. And, the plan was to use only metals recovered from small electronic devices like old smartphones. In the past, recycled metals have been used to produce medals for the 2012 London Games and the 2016 Rio de Janeiro Games. 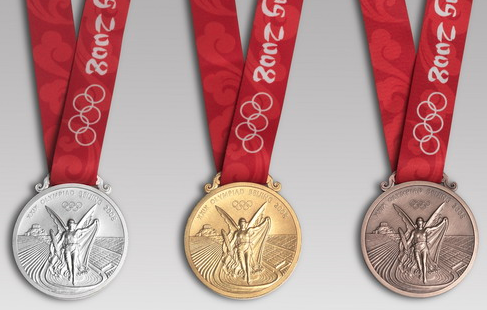 Tokyo’s attempt of using recycled metals in medals would reportedly be the first such attempt in the Olympic history. As per the International Olympic Committee rules, silver and bronze medals are almost entirely made from pure silver and bronze, and a gold medal uses silver as the base material and around six grams of pure gold plated onto the medal. So, for the Olympics, a total of 1,230 kilograms of white metal are needed, and only around 736 kilograms of bronze and 10 kilograms of gold would be reportedly used. The project has spread nationwide, with the collection scheduled to end one year from now. The collection points with the municipal governments have also increased from 624 to 1,404 in March in 2018. In order to meet the deficit of silver, the organizing committee has also planned to have more collection points, which would augment the collection pace by having promotional activities in cooperation with department stores and various universities.